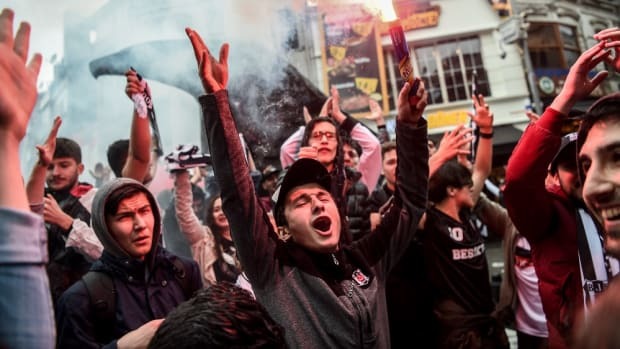 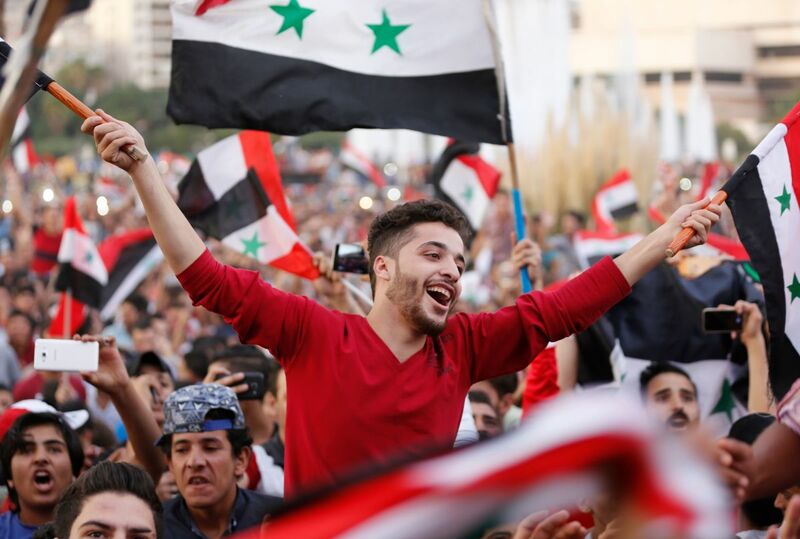 Syrians celebrate in Damascus&apos; Umayyad Square on October 5th, 2017, after Syria&apos;s national soccer team scored in its match against Australia during the FIFA World Cup 2018 qualifier. 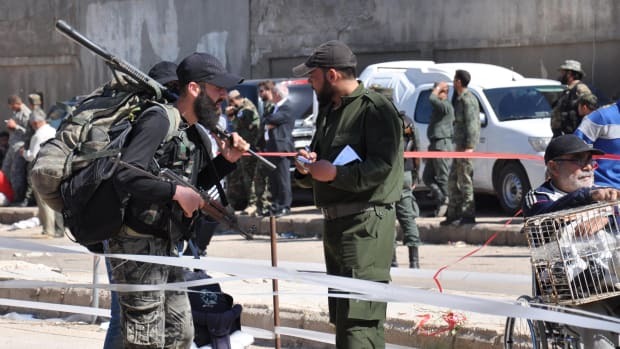 Syrian opposition fighters are stopped at a checkpoint manned by regime forces on May 21st, 2017. 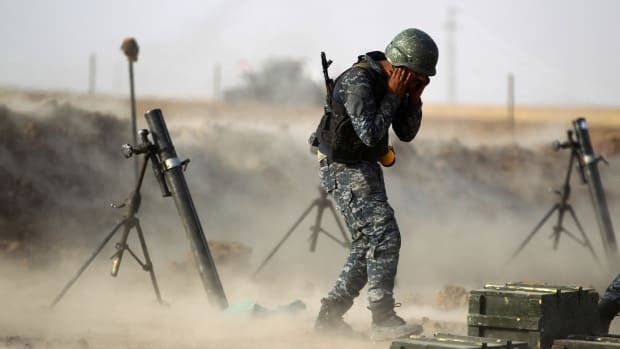 A member of the Iraqi forces covers his ears as he fires a mortar against Kurdish Peshmerga positions near the Turkish and Syrian borders in the Iraqi Kurdish autonomous region on October 26th, 2017. 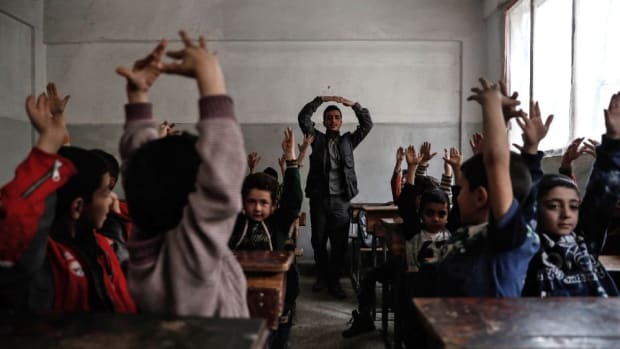 A member of the Syria Civil Defence, known as the White Helmets, teaches schoolchildren how to protect themselves in case of an airstrike. 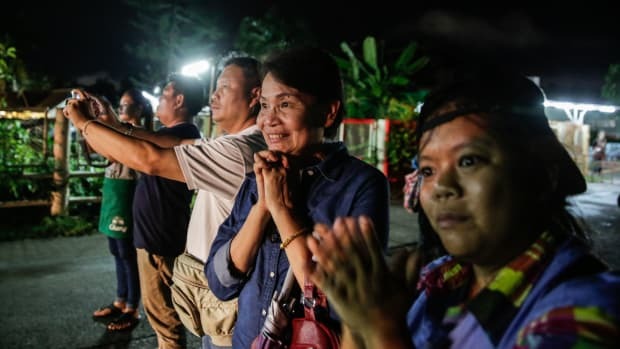 Onlookers cheer as ambulances deliver boys rescued from a cave in northern Thailand to a hospital on July 8th, 2018, in Chiang Rai, Thailand.